Apparently TGT isn’t the only allstar R&B trio anymore! Officially revealing their major union, three of the late ’90s/early 2000s prevalent R&B singer/songwriters have come together to form the new group WQRL. As heavily authentic R&B as you would expect, the three singers are delivering that good good that so many fans are craving! “I love how you hold me down, you know how to treat a king / Girl you’re the type to get the ring, nothing can come between,” they sing out letting the ride or die ladies out there know that they are appreciated! According to DJ Tony Neal the fellas were just messing around in the studio and this record was the outcome. 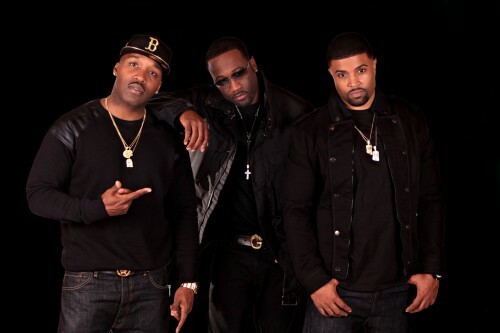 But, even though Wingo is still a member of Jagged Edge, and they are prepping for their comeback album J.E. Heartbreak II, we wouldn’t be opposed to hearing more music from these three as a trio. As we await any further details, get familiar with the sounds of WQRL now below! They sound great just lay off the vocal production i need to feel more soul but this is a great debut!